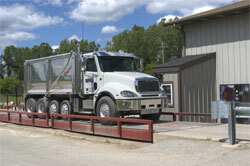 Wissota Sand & Gravel offers delivery services within a 25-mile radius of our Milwaukee, WI location. We use an in-house trucking firm to get products to our customers quickly and conveniently. This unique benefit gives our customers flexibility with delivery times and helps us work with our customers to meet all their needs.